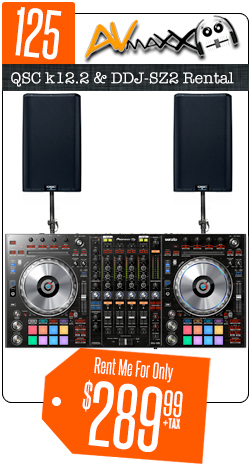 Rent the hottest DJ Rental Packages | Live Sound | Up Lighting | Speakers | Mixers | Video Walls | PA Systems at affordable prices! No Security Deposit Required! Just 2 Forms forms of ID. Having been in the music business for over three decades, we understand that in order for your DJ business to grow you must offer your clients comprehensive sound and lighting solutions for all kinds of events. This could be a lifetime investment. At AVMaxx, we offer the biggest selection of professional DJ Equipment Rentals. 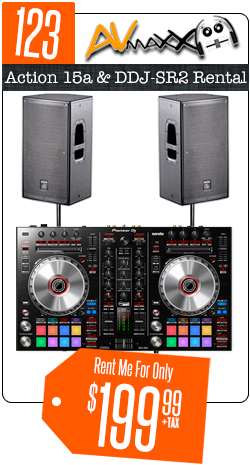 From Uplighting to Concert Audio, we rent it all! 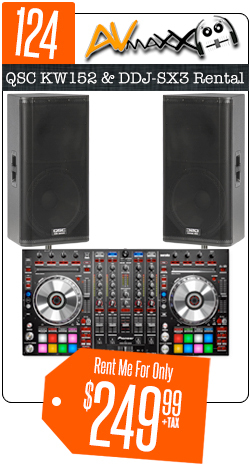 We also offer delivery service, which includes setting up the DJ booth at weddings and organizing the sound systems at large musical concerts. We have a team of trained professionals who have handled thousands of events. 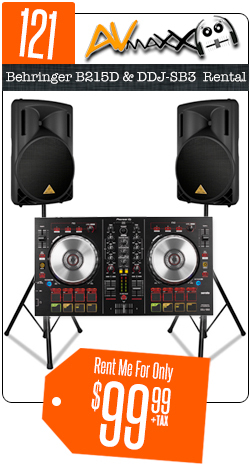 Trust AVMaxx to get you set up for your next event.